Pumpkins (Cucurbita maxima): growing, planting, caring. 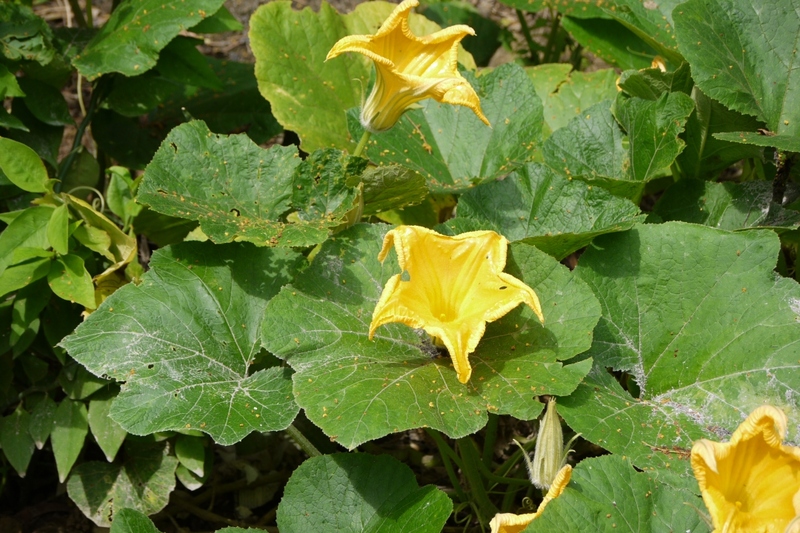 Pumpkin thrives in rich, well-drained soil, and direct sunlight. It can be harvested from September to Halloween! They can be planted in spring or transplanted as young seedlings purchased commercially at the beginning of summer. Planting should be done in warm temperatures - therefore, early seeding should be done under shelter, starting in March, keeping in mind that planting seedlings in open soil happens 25 days later once the frost has lifted. Quite a few different varieties of squash exist! The Bright Red French pumpkin is a vigorous variety that produces round, flattened fruits with red-orange skin and flesh. Excellent shelf-life. The Yellow of Paris pumpkin produces extremely large fruits which have dark yellow skin and outstanding shelf-life. Kabocha, sometimes called the Hokkaido pumpkin, is a running squash, producing 2 to 4 fruits per plant. These measure 12 to 15 cm in diameter by 9 to 12 cm in height, weighing between 1 and 4 kg. The thick, dark orange flesh is sweet and mild, making it perfect for soups, purée, gratins and even flan! You can sow in open soil starting at the end of April, once the risk of frost has passed in your region, until the end of summer. Sow in seed holes (3 seeds in the same hole) 2 to 3 centimeters deep and keeping 100 cm between each seed hole. Water carefully, even spraying the substrate until sprouting. Groww tip — place a stake or label to mark the roots of the plants so you know the best place to water once your garden is covered in huge pumpkin leaves! 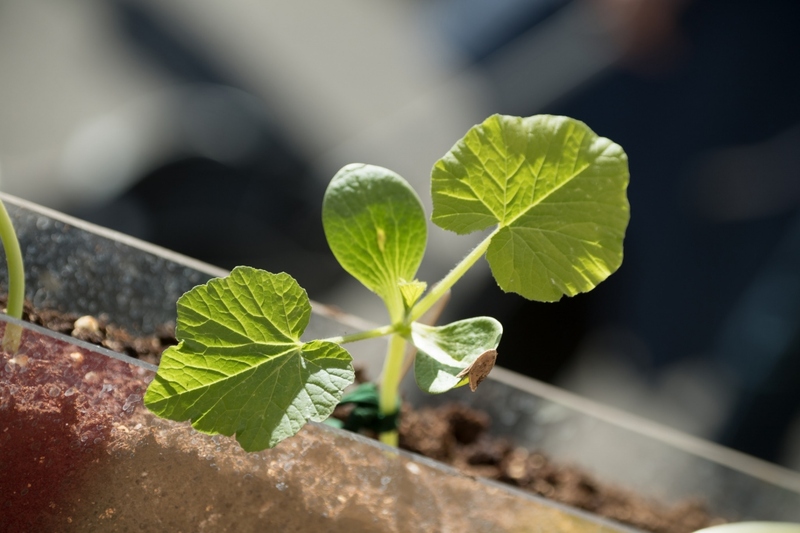 For inside seedlings, you can sow under shelter from March, avoiding the direct sun. You will avoid the stress of chasing slugs! Sow in pans, 3 seeds per pot, on a bed of gravel or clay balls to ease drainage and prevent the roots from rotting. Add special potting soil up to 2/3 of the height of the container and tamp lightly. Then fill to top. Sow at 2-3 centimeters deep. Water gently. 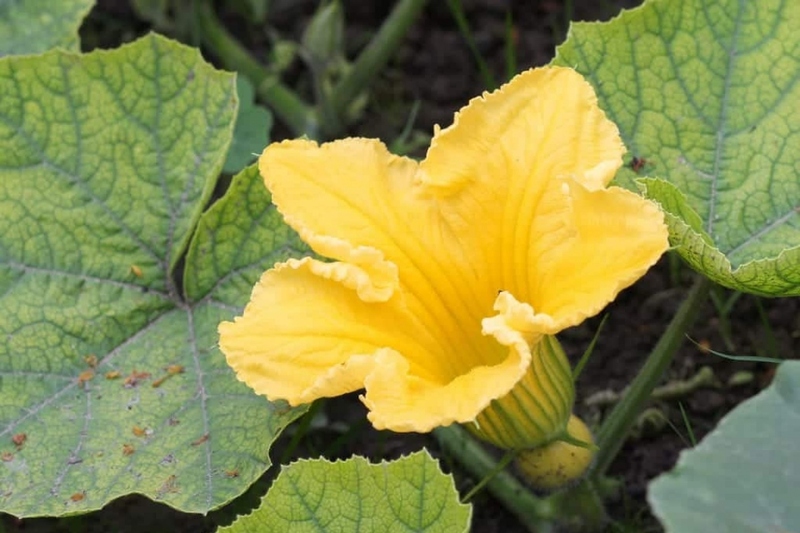 Starting in May, if there is no longer a chance of frost, and 3 weeks have passed after sowing under shelter, plant your squash in loose, cool, and rich soil in the sun (you can add fresh compost to the planting hole). Careful: pumpkins needs to be pollinated in order to bear fruits. It is therefore necessary to have several plants — male and female! - to encourage the crop. Leave a space of about 2 square meters for a each plant. Water generously after planting and the following two weeks. Mulch between the plants one to two weeks after the final planting, using a natural mulch which holds in moisture. This will limit evaporation from the soil, and thus the need to water and to weed. The fruit will also be less likely to rot. Groww tip — place a stake or label to mark the roots of the plants so you know the best place to water once your garden is covered in huge pumpkin leaves! Starting in the beginning of May, once there's no more risk of freezing and 3 weeks after sowing if you sown under shelter, transplant in open soil - rich and deep and sunny. Make sure each plant has enough room - 2 m2 for each, water thoroughly after transplanting and for the following 2 weeks.